We are now moving ahead to discuss one more key feature of our Booking & Appointment Plugin for WooCommerce. Do you want that when a customer comes to your website and adds any product to his cart for a particular date, then that date should be pre-selected on the front end of all the products that are listed on your website? 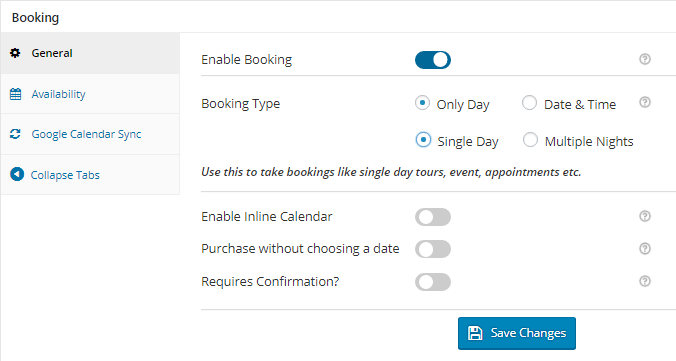 This setting works with both Single Day Booking as well as Multiple Nights Booking methods. 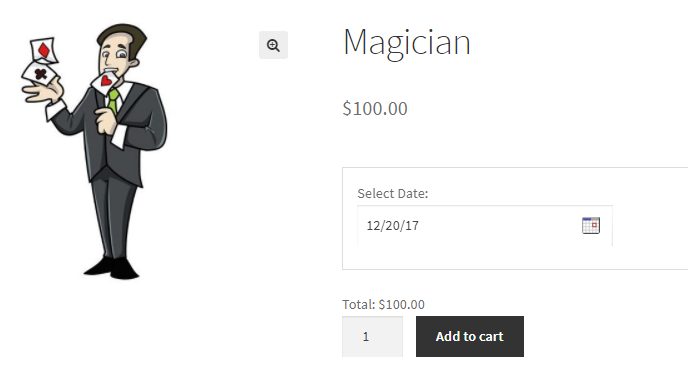 In this post, we will understand how to duplicate booking date automatically to other products after the 1st product is added to cart on your WooCommerce store. For Instance, you are running a business of renting Inventory based Equipment like cameras and its lenses etc. 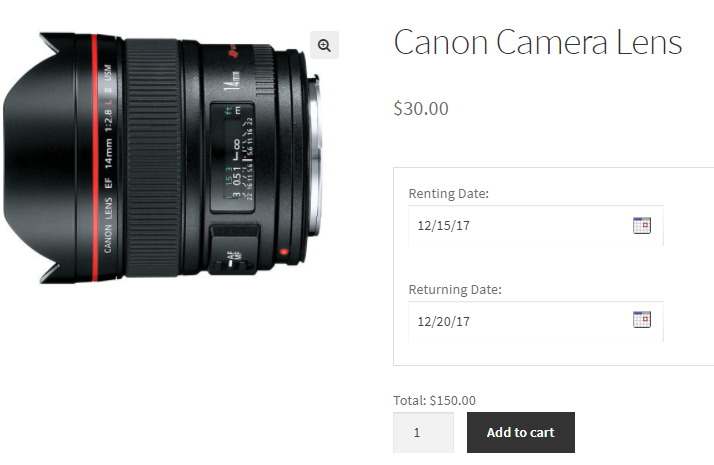 For that, you have to create both the products for multiple nights as your customer can book the camera and its lens on rent for one or more days. Creating a new product can be done from Products -> Add Product. By enabling this setting, you can convert your normal WooCommerce product into a bookable product. As the setting Duplicate dates from first product in the cart to other products is enabled, it will be applicable to all the products on your website. Let’s say you are a Party Organizer and provide Tattoo Artists and Magicians on hire for Specific Dates when the parties are scheduled. Firstly, you need to create both the services from Products -> Add Product. Here you need to select Specific Dates from the Range Type dropdown as shown below. Add the specified dates for both the services as per the requirements. As the setting Duplicate dates from first product in the cart to other products is enabled, whenever next the customer comes to his site to book another service/product, then the same date would be pre-populated. Thus, your customer doesn’t have to select the date again and again for each WooCommerce bookable product. He just has to and select the service he wants and click on Add to Cart button and simply adds it to his cart as the dates get selected automatically. The setting Duplicate dates from first product in the cart to other products of our Booking & Appointment Plugin for WooCommerce is applied when you are selling products or providing rental based equipment/services which are related to each other. 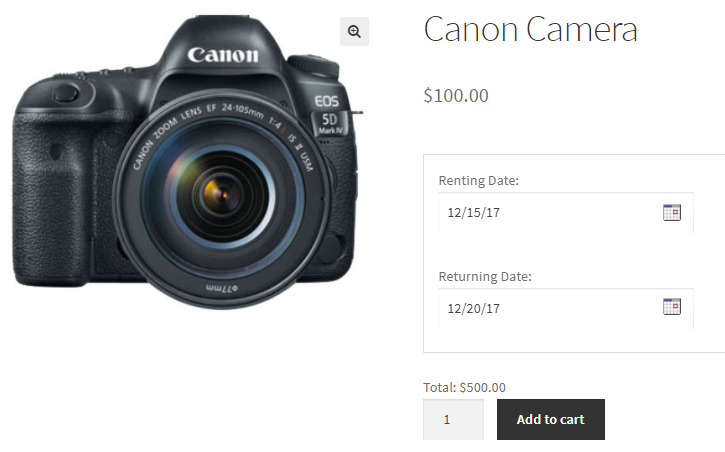 As in the above example of Multiple Day Booking, if a customer wants a camera on rent for some days then surely he will need camera lens on rent for the same days. Same way for Single Day Booking example, if a customer is throwing a party and he wants both “Tattoo Artist” and “Magician” for hire. All you need to do is enable Duplicate dates from first product in the cart to other products setting. This will save the time of your customer as once he adds one product/services to his cart for selected dates then the same dates will automatically get selected on the front end of the other product/services on your website. Thus this feature makes the booking process convenient, easy and fast.